Partygaming merged with Bwin in 2011 and GVC Holdings acquired Bwinparty in 2016, PartyGaming had been in the industry for as long, as I recall the industry being there in the first place. The company used to completely own the online poker market, before the US government banned people from gambling online. After that happened, Party pulled out of the US market completely and kind of lost their market dominating position. Though, thanks to that, now they are free to enter it again, since US is slowly regulating the whole scene. Software wise, PartyCasino is definitely among the greatest online casinos out there. Same could also be said about the compatibility of their platform built. You are free to choose either a downloadable version of the game or play it directly in your browser, via instant flash play. Mobile casino? Of course and Party is actually compatible with majority of mobile and tablet devices that have ever been built, but don’t misunderstand me! If your phone is modern enough to run a Java extension of it, most likely it will also be compatible with Party Casino software. PartyCasino.com offers over 200 unique games, not available at any other casinos and exclusively built to them by Electracade. I could list all games offered and tell that the experience playing them will be one of a kind, because that is exactly the case. Though, I can point out some featured games that are among my favorite ones. 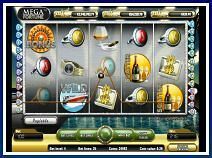 Mega Fortune Wheel is a game quite similar to NetEnt’s version, but developed by PartyGaming. Well, it certainly is not a ripoff graphics wise, but the concept is pretty much same. A progressive jackpot that can be won via a big bonus wheel, while symbols on the reels are themed after fine living. Still, I enjoyed playing it and excitement gotten from playing a progressive jackpot game is always pretty great. Amazing Spiderman is PartyGaming trying their hand at developing some Marvel superhero themed slot machines. Three progressives, an unique spiderman feature and free spins potential did the job for me – a game worth trying out. Snow Business is a funny winter themed game with penguins emphasized as the main characters and symbols on reels. It’s a 30 pay-line slot machine with a bonus game where penguins are trying to catch fish for credit awards. 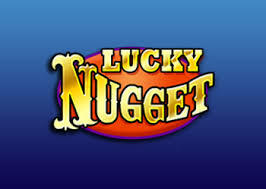 There’s also a free spins feature and a multiplier that can be earned during those spins. Hulk is a green monster, superhero would be better said, developed by Marvel and featured in their comics as well as movies. PartyGaming have developed an exciting 30 line slot machine with him on the reels and in a bonus game. Of course, 3 Marvel progressive jackpots can be claimed by playing this game. Kung Food is a hilarious 30 pay-line slot machine that is themed after fighting and well ”kung foo”. It also features a characters that emphasizes Bruce Lea, but is known as Bruce Pea. This probably isn’t meant as a disgrace, but much rather a licensing issue. There’s a unique ”fight” bonus feature in the game as well as other hilariously named characters, such as Jean Claude Van Ham. New player? Join Party Casino now, and claim a 100% bonus, up to $£€500 plus 20 spins on your first deposit. Regardless of whether you decide to deposit $20 or $500, PartyCasino will match that amount and put it in your account right after your deposit has been approved. This bonus features a rollover requirement of 30 times the bonus amount. Note that this bonus is limited to slots and you won’t be able to fulfill the rollover requirements for it playing other games, such as blackjack or roulette. Though, if you are into these games, there is an offer exactly for you. Any other promotions, including free spins, holiday calendars and various raffles are on top of these two bonus offers. Of course, the VIP program, which is really generous for loyal players of PartyCasino is also offered on top of welcome bonuses and any other promotions. You’ll definitely be pleased with how quick payments are at Party Casino. Even before they merged with bWin, banking was always up to ‘par at this company. All monetary transactions are processed in-house, by a company known as pay-pro. Banking methods are tailored to fit every player, his region of living and adjusted based on the most popular ways to pay in that particular country, state or even city. Ways to pay do include commonly known and used methods too. You will be able to pay via credit or debit cards, e-wallets and prepaid cards. What I love about Pay Pro and PartyCasino’s payment system is that the payouts are processed very quickly. How quickly is that? Well, e-wallet withdrawals will reach you within a couple of hours. There are several ways to reach support at Party Casino, most of whom are quite common and you will likely be familiar with them. E-mail services, phone lines, live chat and a very information heavy FAQ section. You may reach agents 24 hours a day, 7 days a week. 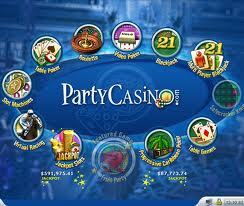 There are plenty of reasons for choosing Party Casino for your online gambling activities. We can start with them being the largest online gambling company in the world, which kind of correlates with safety and security. Then there’s the fact that games offered by them are exclusive and nowhere else to be found. It isn’t quite the same as joining a casino that is powered by the same software as about 100 others, if you ask me. Don’t forget about mobile compatibility and probably the top 3 gambling platform in the world. You will also participate in a generous VIP rewards program and have access to other world class products. Now you should ask yourself another question – why NOT Party Casino?